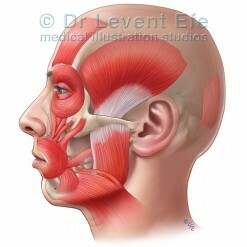 Anatomic art for print or online use. 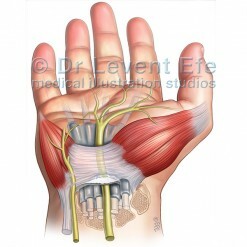 Dr Levent Efe has extensive experience in Human anatomy, and combines his knowledge with a unique style of artistic interpretation. While he presents realistic depictions of human anatomy, a conceptual approach comes into action to emphasize certain structures that are to be focused on. Levent’s still images pronounce the anatomical basis of certain structures that are relevant to a procedure or operation. The layouts are constructed in a calm, concise and easy-to-understand manner. The illustrations serve as an effective communication tool to increase patient confidence and allay any fears. Medical illustrations in this anatomy section are designed to be utilized by medical and surgical specialists in their patient education material or by all publishers. 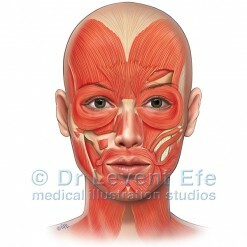 The images can easily be added to a website or print material, or be used in consultation to walk the patient through the anatomical basis of a procedure. Dr Levent Efe regularly contributes to Anatomy sections of surgical textbooks in Australia and world wide. 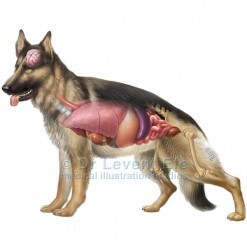 Anatomy illustrations – for online or print publication.